Minas Morgul - Originally known as Minas Ithil ("Tower of the Moon"), it was built by the Men of Gondor to keep an eye on Mordor. But early in the Third Age, it was captured by the Enemy and occupied by the Nazgûl. 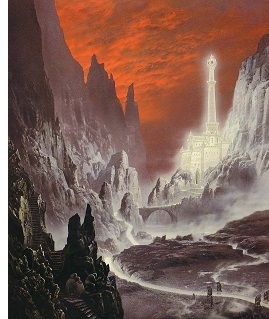 From that point it became Minas Morgul ("Tower of Sorcery").